I had great plans for the Mexican entry in my VeganMoFo adventure. I was dying to go to The Spreadeagle vegan pub in London, but every time I went to London either the kitchen was closed or they were fully booked. I was delighted to finally get my reservation for an early dinner in July (before going to see The Flight of the Conchords, so it was shaping up to be the perfect evening)…but then several hours before our booking, they told me there had been a mix up and they wouldn’t be serving food when we arrived. 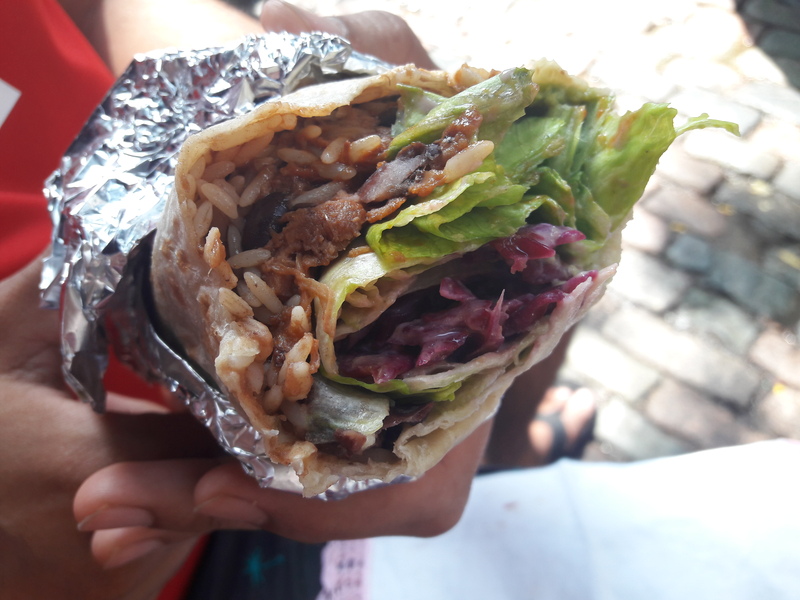 I was bitterly disappointed, but it all worked out in the end – Brett and Jermaine restored my spirits on the night, and the next day Club Mexicana helped me tick off this cuisine, and did it with style! 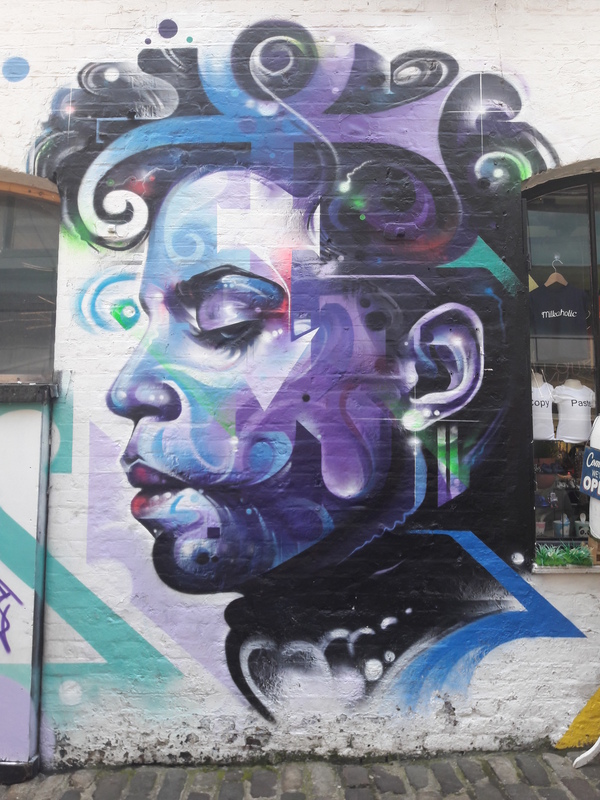 This is a little stall in Camden market which we had already eyed up while visiting Young Vegans a day or two earlier (top tip: if you find yourself hungry in London, head for Camden Lock Market. I probably could have found half of my cuisines there!). Due to the market location, there is a small menu and no fixed seating, but you should be able to find somewhere nearby to perch. We split a couple of dishes, starting with this jackfruit burrito. I know jackfruit has really taken off in the UK (one of my omni friends was raving to me about how it’s just like pulled pork! ), but to someone living in Prague it’s still enough of a novelty that I have to order it whenever possible. And, oh, it was good! The burrito was huge and really nicely seasoned without being too spicy. It was a little salad heavy for my tastes (or perhaps the leaves just weren’t that well distributed), but the jackfruit and beans were very tasty. The real star of the show, though, was these fish tacos. The tofu fish was beautifully crispy, with a great texture and flavour. They were perfectly sized too, and not as messy as I’d feared.If you’re in the vicinity, you really must swing by and try these. While you’re in the market scoping out the other vegan options, you can always admire this vegan too! 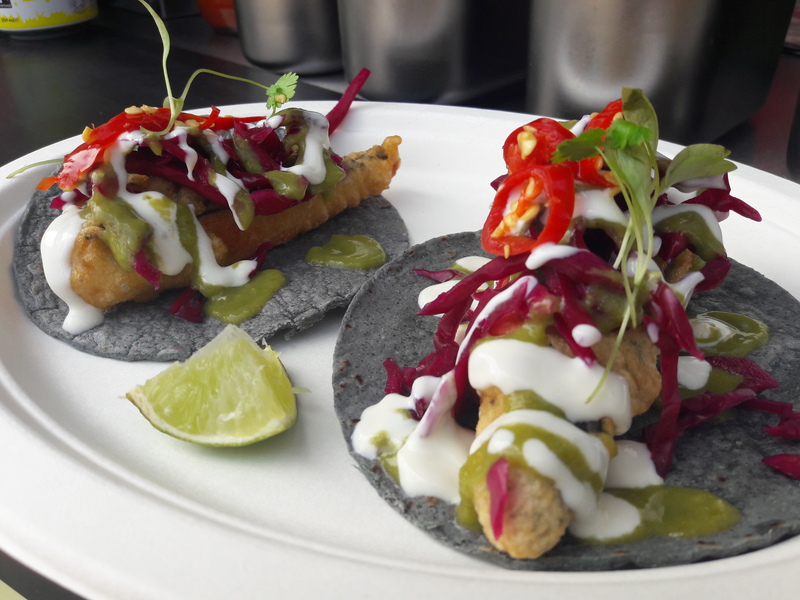 What’s your favourite Mexican vegan spot? 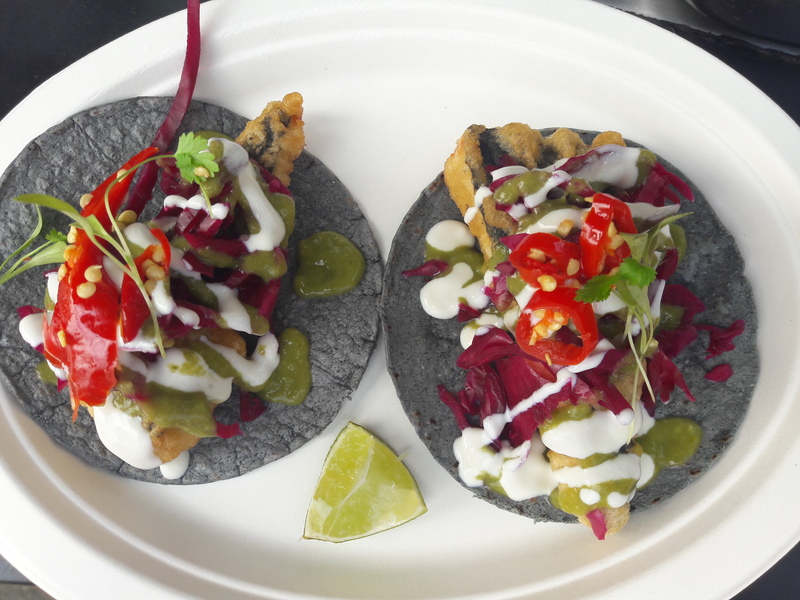 This entry was posted in Travel, Vegan Mofo and tagged Club Mexicana London, vegan London, vegan travel, veganmofo18. Bookmark the permalink. I haven’t been to the Spread Eagle but tried Club Mexicana at various places over the years, I love their cheese fries! Ooooh, I’ll try them next time! Bar Bonbon is my favorite mexican vegan restaurant…. but uh… I haven’t tried many lol. There is a local taco shop that recently changed it’s menu to be 100% and I’ve been meaning to try that place out. Oooh, that sounds promising! I like these all-vegan places that are serving things like mock fish tacos, rather than just a standard rice/beans/veg burrito option in omni places.